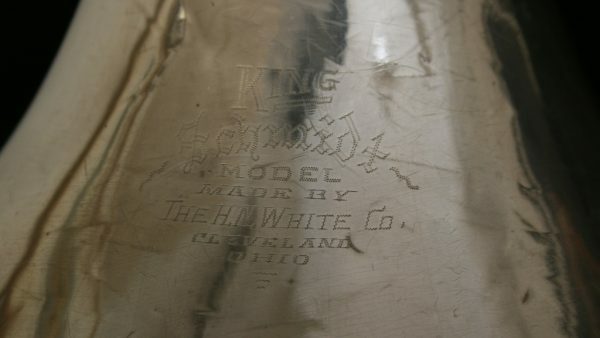 This is a H N White/King single F – full size horn dating from 1925-30. 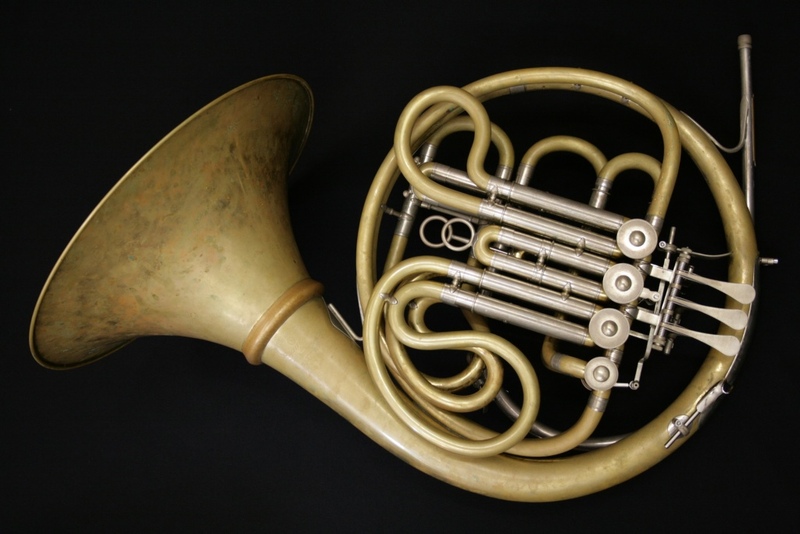 A real piece of American musical instrument history. 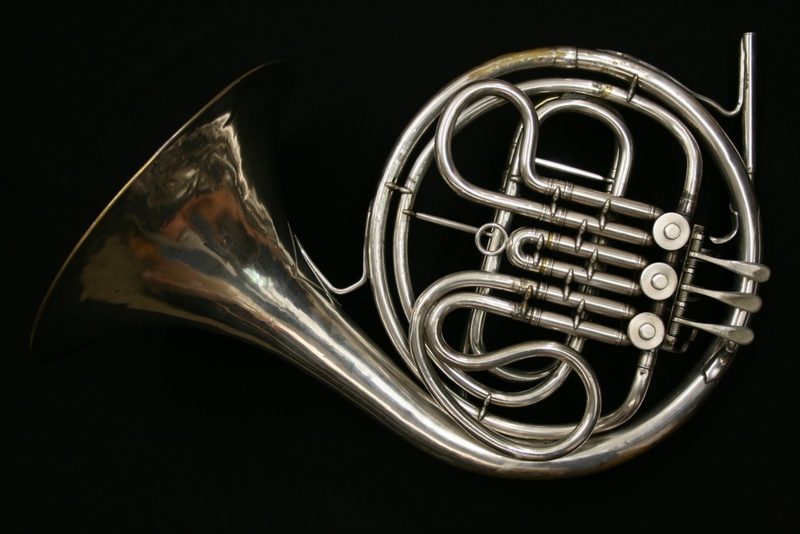 This is the Schmidt model. 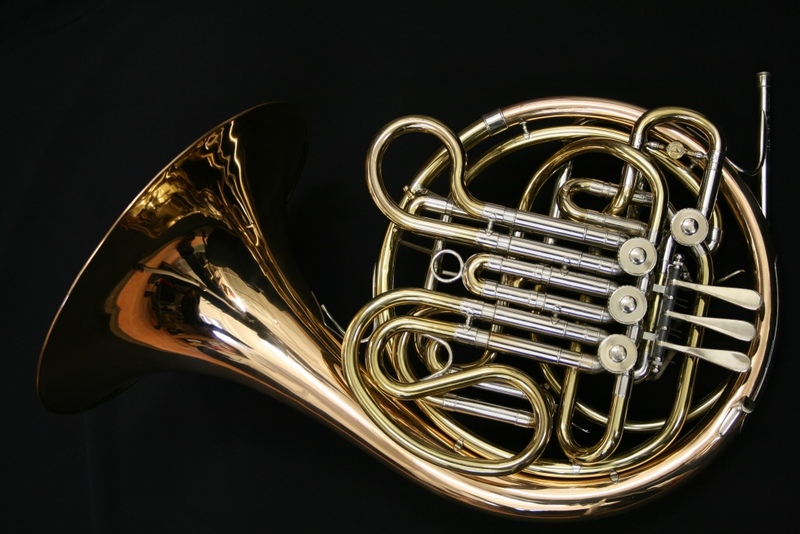 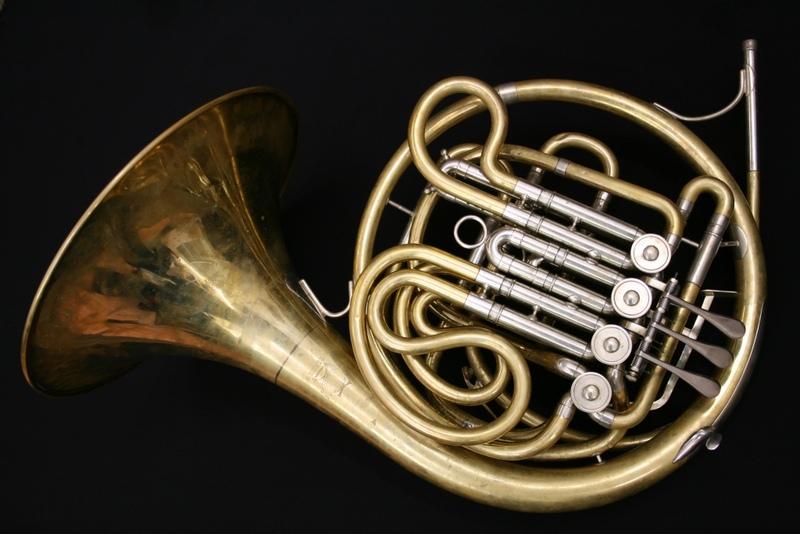 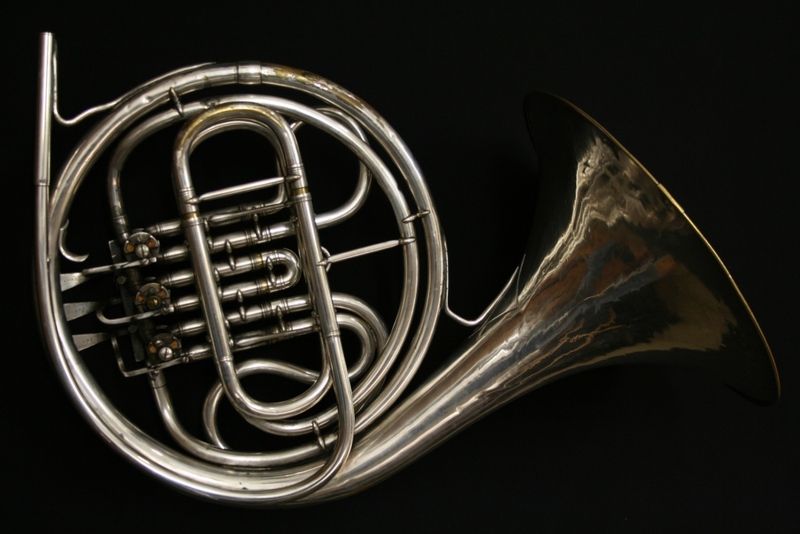 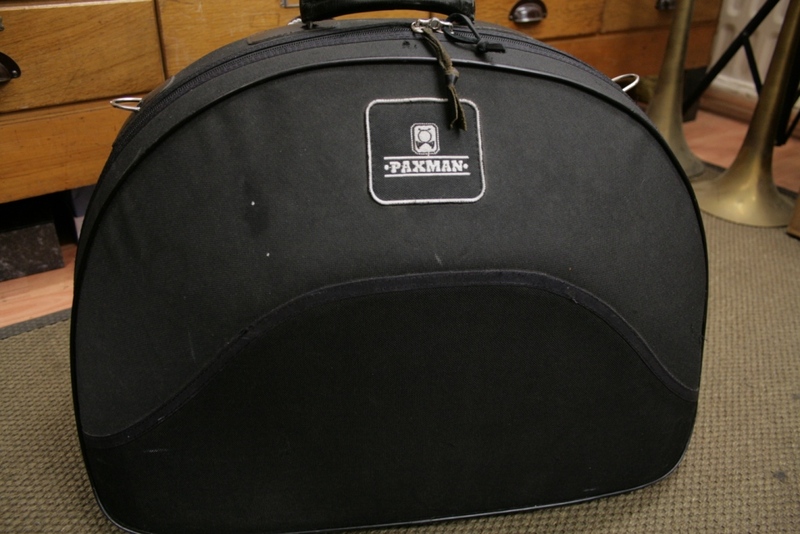 It’s in reasonable playing order – this would be a great horn to leave out for warm ups etc!